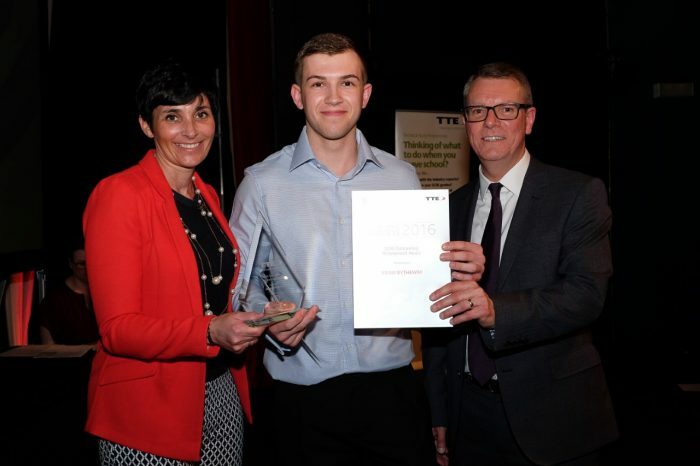 Chemoxy’s Adam Bytheway (Apprentice Mechanical Technician) won an Outstanding Achievement award at TTE’s annual awards ceremony last night. Adam was nominated for the outstanding achievement award by his TTE assessor for outstanding effort and a great attitude from the very beginning of his apprenticeship. Adam’s assessor stated that he went above and beyond what was expected with regards to his NVQ by getting work done a lot quicker than he was expected to and completing the work to a high standard, and that he has been doing independent work on a pump database in his own time to try and benefit the company.